Congratulations to the winner of PRiMO preserves, #11, Katie Sweet! I'm certain you'll love these preserves, Katie, and I hope you agree that they are the next best thing to homemade. For December 12th, it looks more like March 12th out there today. It’s nearly 50 and heavy with fog. In years past, I’d already be nearly done with my Christmas baking by this date. But the factors stacked against me, including freezers near capacity with little room for stashing cookies for safe keeping, have me just beginning today. We’ve been talking about making Mexican Wedding Cookies for some time. They were called “Butterballs” as I was growing up and for good reason as they seem nearly half their weight in butter. I had 30 cookies from this recipe from King Arthur Flour, and they fit nicely into a single container that I did have room for in the freezer. Since I was nearly coated in powdered sugar myself, I figured I’d keep the oven on and give some bourbon balls a go. Traditionally, I make rum balls. I’m not a fan of rum in general, unless it is baked into something chocolatey or used as a flavoring in quick breads or cakes. I watched an interesting documentary once on the history of Puerto Rican rums and even still I never developed more than an intellectual appreciation for it… though I do love rum balls. LOVE rum balls. I love that the earlier you make them the better they get. I love that by the first of January, they seem a little tired and crumbly but that makes them all the more delicious. And I love them all the more since I bit the bullet a few years ago and started making my own vanilla wafers to use in them. I thought I’d try something different this year. In part because the only rum on hand was a dark, spiced one (and not what I’ve used for rum balls in the past), I thought I’d give some bourbon balls a go. I usually don’t post a recipe I make only once, but this is one I’m going to. In part, I’ll do it to remind myself next year of my method and also to remind myself to include a bit of espresso powder, since I think it needs it. I also wanted to record the weights of things, since making homemade vanilla wafers throws one off of regular recipe. 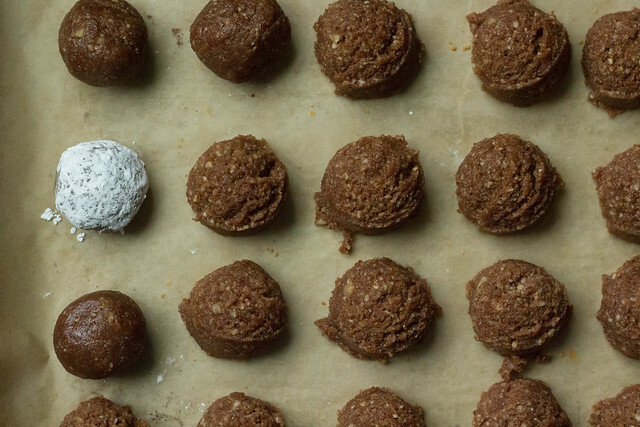 I chose a base bourbon ball recipe from Epicurious, and I have to say I was suspicious of it holding together… but it did just fine. I also would like to preface that I’m not an advocate of corn syrup. But 3 tablespoons once yearly I am not going to get bent out of shape about. And besides: rum balls! (Or bourbon balls!) 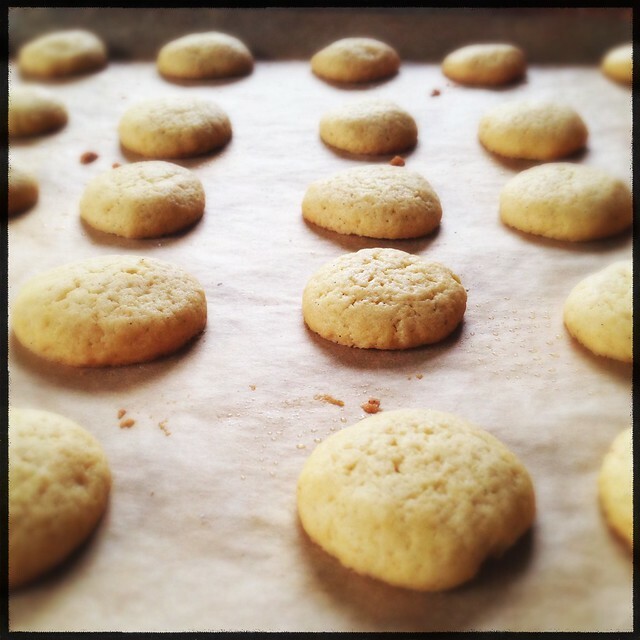 I am also assuming that before you begin, you have made a single batch of vanilla wafers using the best recipe I’ve ever seen for them, by Alton Brown. A single batch makes 14 oz. of vanilla wafers (about 3 3/4 c. of pulverized crumbs). Pulverize the vanilla wafers in a food processor if you have not done so. Aim for a uniform, sandy texture slightly finer than rice, and then transfer them to a large bowl. Do the same with the pecans, and also transfer them to the bowl. Add in the confectioners sugar, cocoa powder, and espresso powder if using. Stir well to combine and transfer the mixture to the food processor and process until very finely ground - it should look like it’s almost starting to clump together. Transfer the finely ground mixture back to the large bowl. Whisk together the corn syrup and bourbon in a small measuring cup and add to the dry ingredients. Stir well with a spatula until well combined and no dry pockets remain. 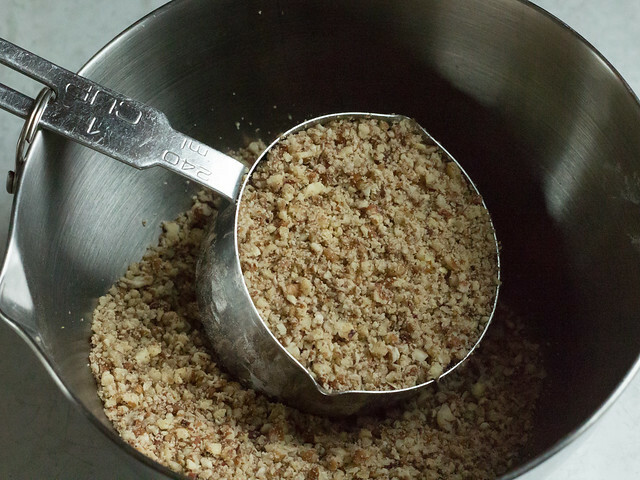 Use a 1 tablespoon size scoop to scoop out packed balls of dough. Roll them gently between your palms to form balls, drop them into confectioners sugar to coat thoroughly, and store in an airtight tin to age for at least a couple of weeks. You may wish to re-coat with confectioners sugar before serving. Tags: bourbon, pecans, giveaway winner.